To buy your SENT pack, please fill out the form below. A core pack includes two facilitator guides and eight participant workbooks for £50. If you need more workbooks, these are £5 each with every third copy provided free (e.g. three for the price of two, six for the price of five). Deliveries outside the UK will require a higher postal cost. Please get in touch with the team to discuss this. If you would like to buy a bulk purchase (e.g 10 packs), please get in touch to discuss a special discount rate. If you have any questions about the payment amount or process please email publicleadership@eauk.org. Yes, I would like to receive emails from Public Leadership containing the latest news and events. 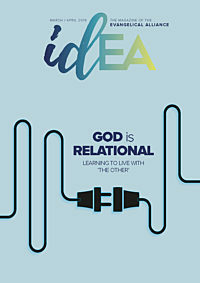 If you want to stay connected to the Evangelical Alliance, tick the box to receive our regular email, Headlines, containing information about what we are doing, upcoming events, resources and articles. How did you hear about SENT?